Our 3rd and 4th graders had an interesting discussion about 'Picasso's first Dove of Peace' and enjoyed creating line drawings of the peace dove. 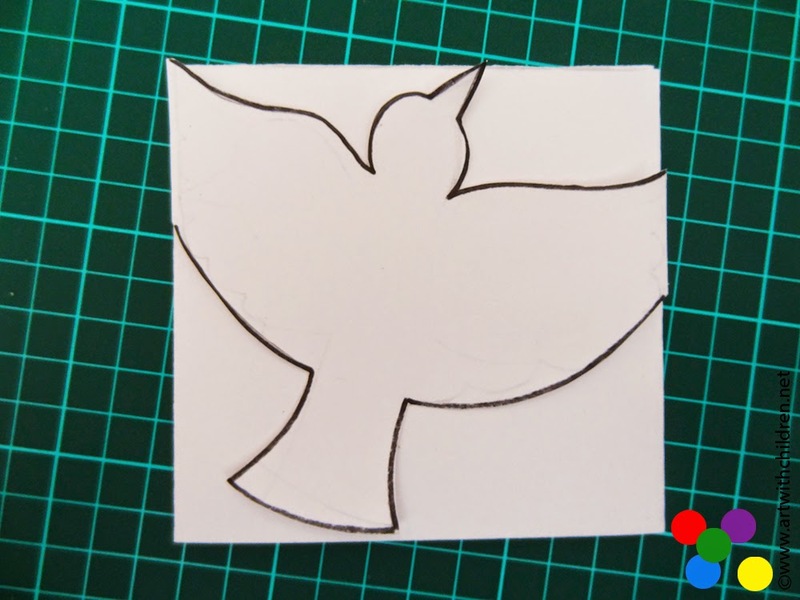 It was a repeat activity and we also did a micrography lesson using the dove to represent peace. 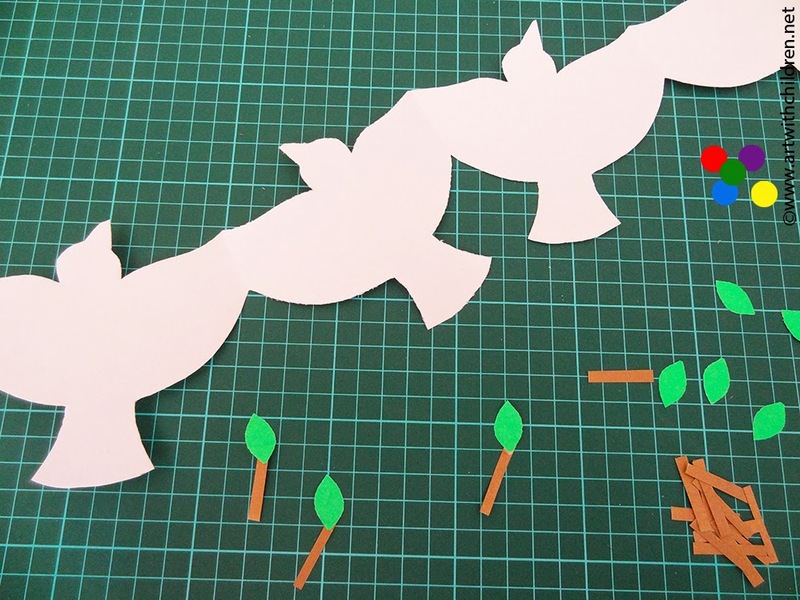 Since we were also learning to make garlands this week, we decide to create a 'Peace dove' garland! 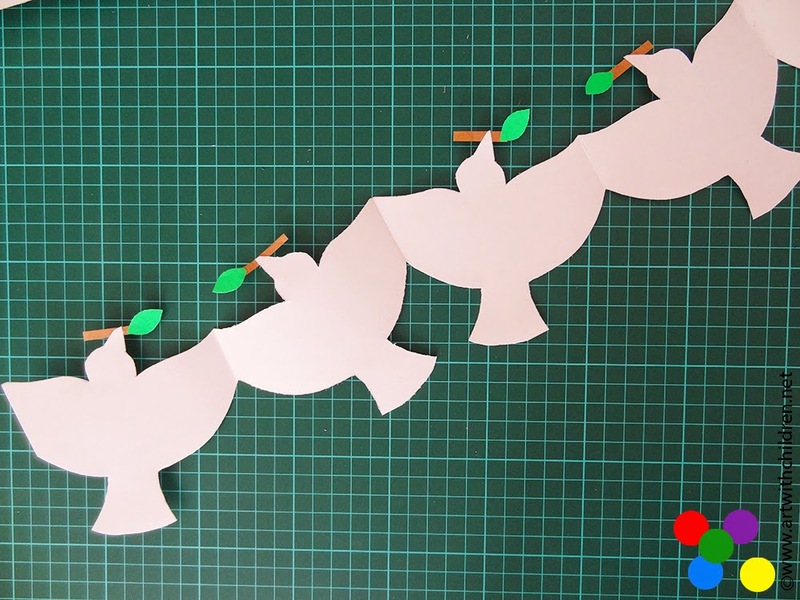 Continue reading for step by step instructions to make our 'Peace dove garland'. 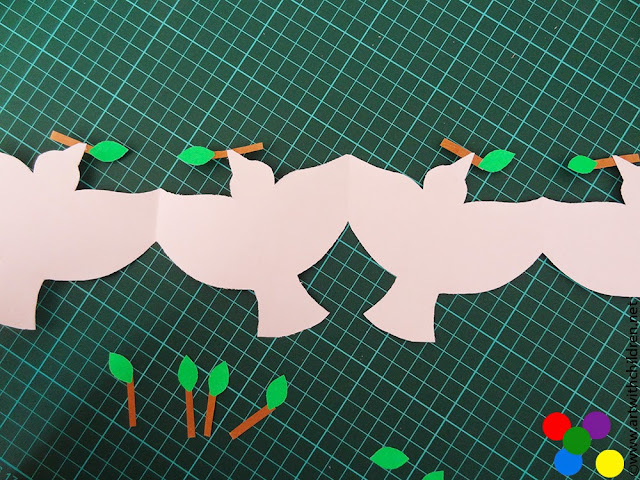 We could make six pairs of doves using an A3 size white paper. 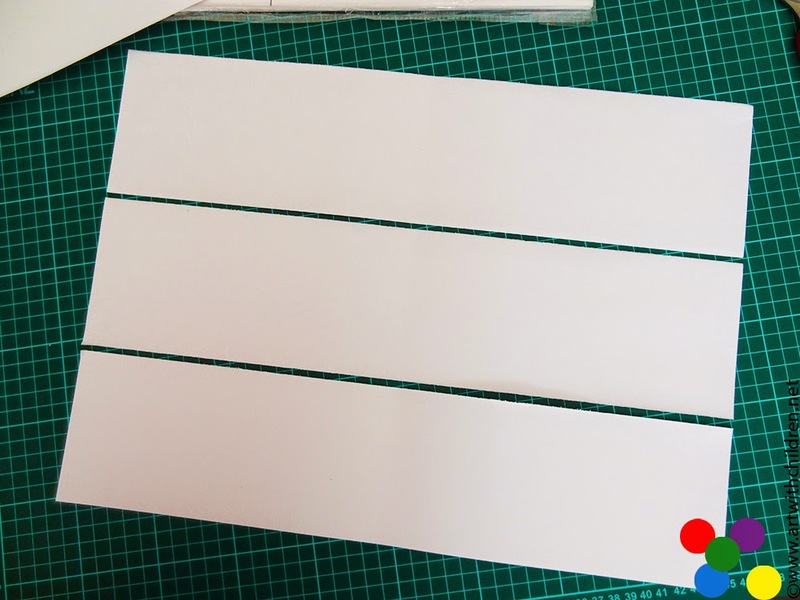 We first cut the paper into three equal strips horizontally. 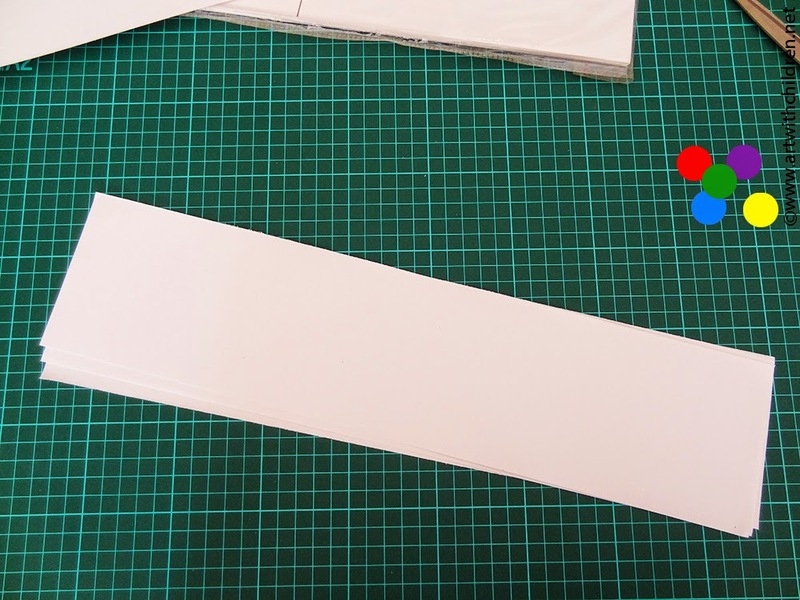 The strips have to be folded twice. 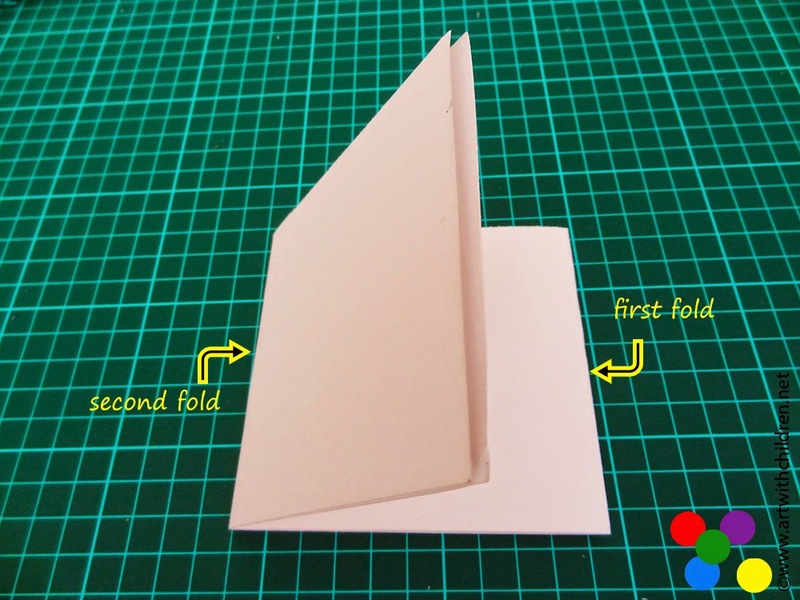 The folded strip should look like this below. Notice the open ends and two folds. 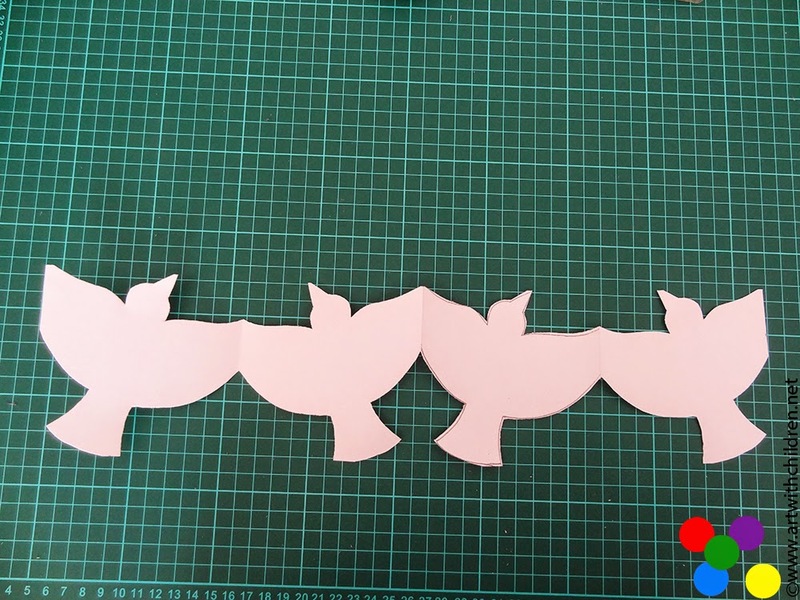 Fold all three strips of paper in the same manner. 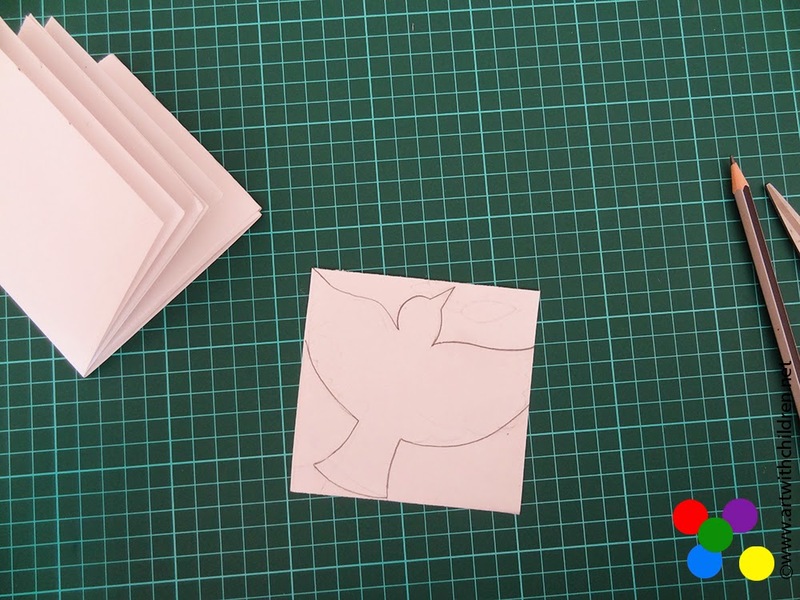 Since the size of the dove should match the folded paper we drew a dove using the same dimensions. Here is a dove drawing to download. Note that it fits very well onto the folded paper. 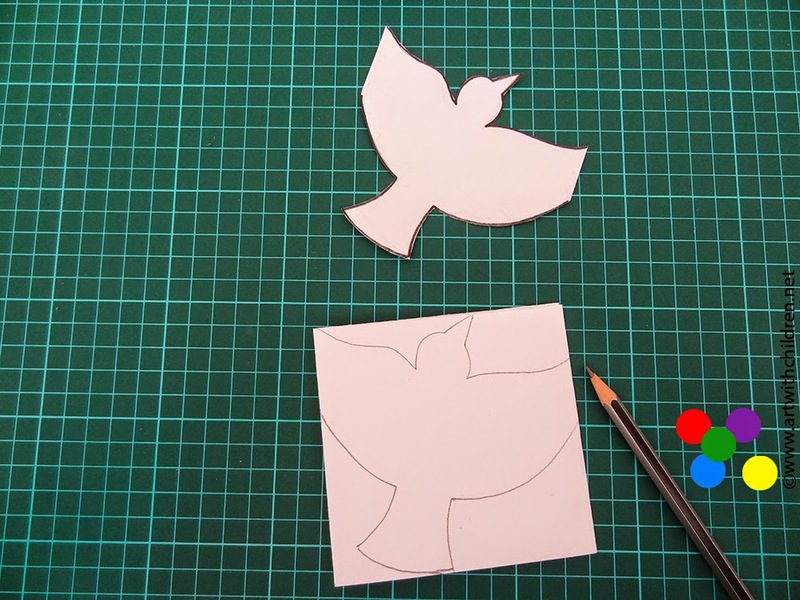 Trace the outline and cutout the dove to make your own dove stencil. 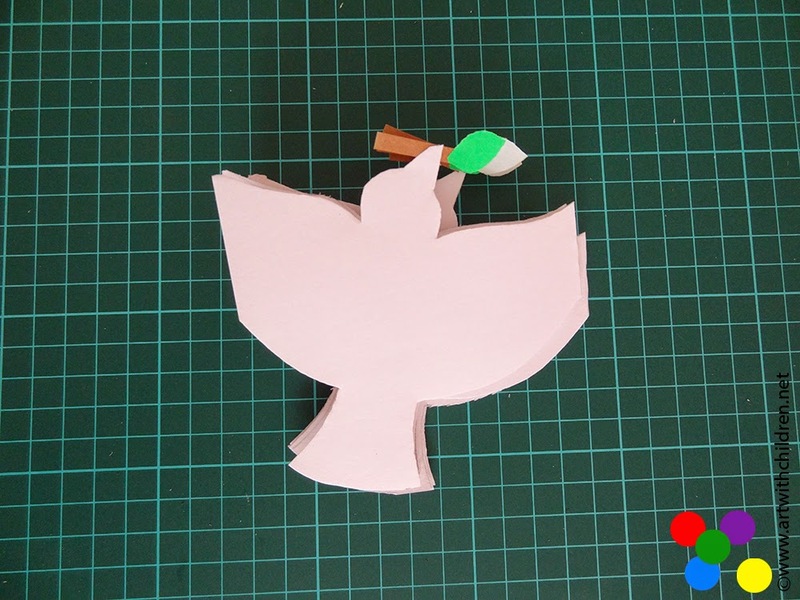 Trace the dove and cut the folded strip of paper. 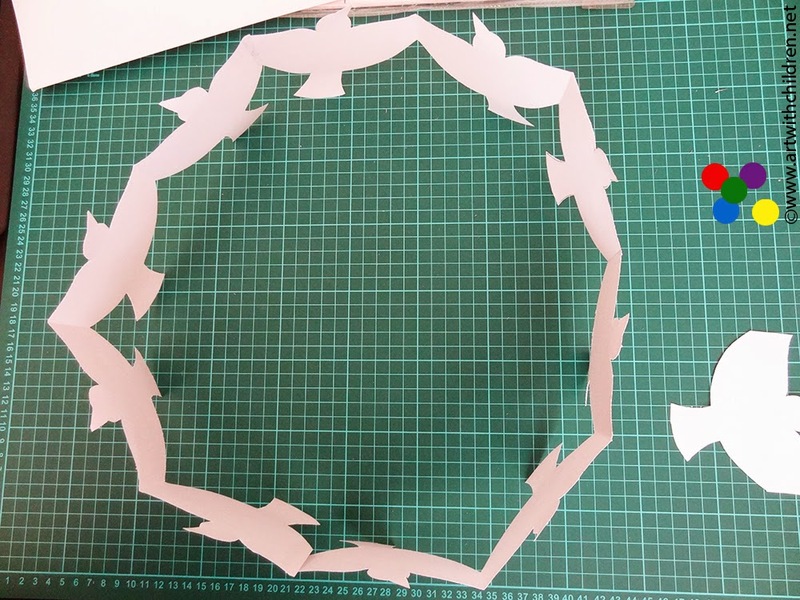 Some children needed help to cutout the folded sheet, so a thinner paper could be used instead. Cut out a few stems and leaves out of brown and green paper, if you like an olive branch as well and stick them under the beaks of the doves. 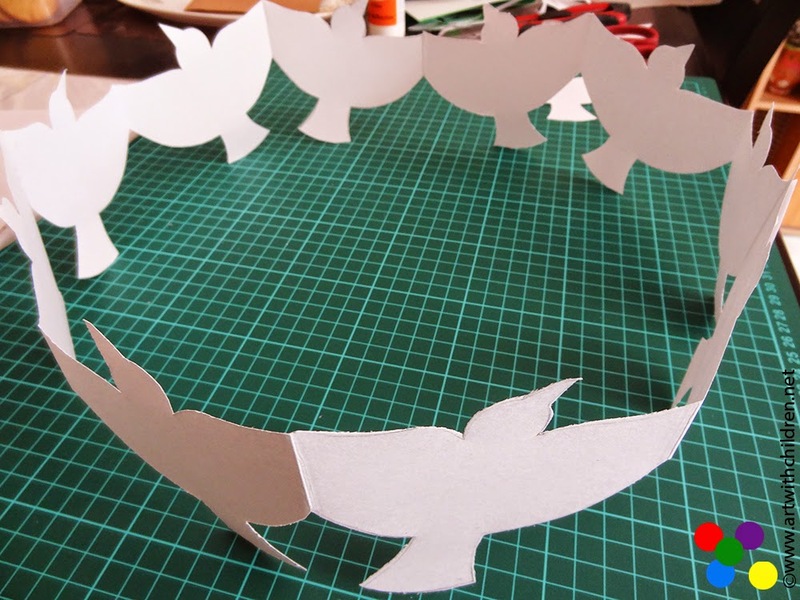 Join them with glue to make a nice garland. Garland making has been a favorite activity this month and we thoroughly enjoyed making them!